It isn’t easy coming to Saginaw twice a week,” Eadie explains, “Especially in the winter. But it’s so worth the drive. He’s not just the 10 o’clock appointment. He’s Doug to them. More than coming in for the drudgery of physical therapy, it’s coming in and – in a sense – he’s with friends. He’s with family who want the best for him. Prior to his first stroke in 2015, Doug Mace, then 48, commuted from his home in Clio to Kirtland College to teach mathematics. Always up for adventure and travel, he took a sabbatical to go overseas and teach at military bases. He and his wife, Eadie, had just arrived in Germany and Doug had taught his first class when he suffered a stroke – something quite unexpected that rocked the couple. Doug was hospitalized in Germany and began his rehabilitation there, ultimately spending nearly three months in the country before he was cleared to fly back to the United States. Around the same time, his physical therapist gave him a pamphlet about the Bioness NESSâ L300ä to improve foot drop, though she had never worked with the technology. Doug’s hard work paid off when he successfully passed the test Kirtland required to get his job back. Not long after returning to teaching, Doug flew to a conference in Denver with fellow math teachers to present on his work in Germany. Two weeks later, he had his second stroke. While the first affected his right side, the second affected his left. 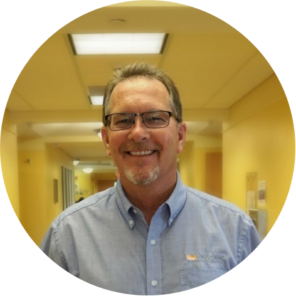 After a month at Genesys, Doug came back to HealthSource for outpatient treatment again. His physical therapist worked with him to get his strength back and get him walking again. “He pushed him and pushed him,” Eadie remembers. His speech-language pathologist focused more on memory work this time around. Note: If using for NewsSource, it’s worth noting that Doug took this summer months off to see how he could do on his own. He’s very anxious to get back to assess “how much I’ve lost.” Eadie told me on the sly that he doesn’t do much of anything on his own, so he REALLY needs to get back and knows he does. Brian and Katie are very motivational for him! I am alive! I can walk! Robert suffered complications during a heart procedure that caused bleeding in his brain. A surgeon had to perform emergency brain surgery to repair the bleeding vessel. Robert thankfully lived through the serious crisis, but required intensive rehabilitation afterward. He arrived at HealthSource wearing a protective helmet with his scalp plate removed. He couldn’t walk, talk or hold his head up. His entire left side was affected. 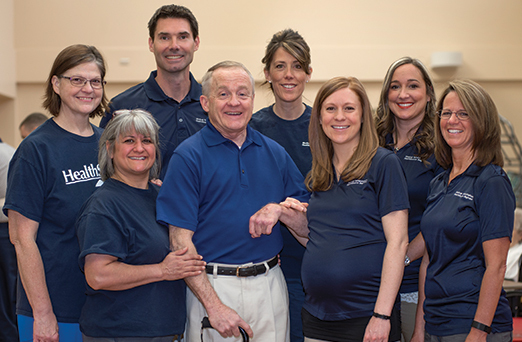 Just six words, but one powerful reason Robert Cook is singing the praises of HealthSource Saginaw and its leading medical rehabilitation experts and facilities. 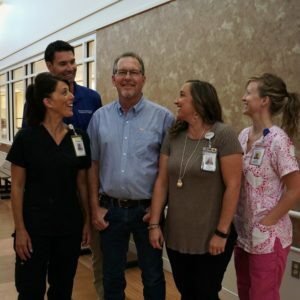 He walked out on his own three months later after working hard with his acute inpatient rehabilitation team for speech-language pathology, physical therapy, and occupational therapy. Once discharged, Robert continued to visit HealthSource for outpatient rehabilitation and continued improvement. During that time, he choked on a steak while eating out at a local restaurant. A nurse from St. Mary’s of Michigan happened to be dining in the restaurant and jumped into action to save Robert. Her heroics were highlighted on WNEM TV-5. 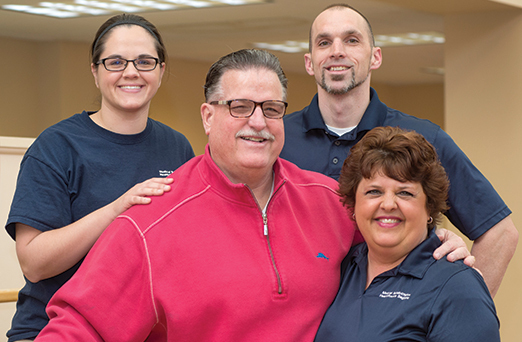 Robert’s seven broken ribs and swallowing issues landed him back at HealthSource for more rehabilitation. Prior to his health problems, Robert was a fine art painter. During his stay at HealthSource, to show his appreciation, he gave away some of his paintings to nurses and certified nursing aides who helped him through his medical and rehabilitation challenges. New Year’s 2016 was supposed to be a festive one for Jeff and his wife, Shelly, who live in Shields. They traveled down to Macomb County that year to ring in New Year’s Eve with their son. Instead, Jeff woke up New Year’s Eve morning having a stroke. He was rushed to nearby Henry Ford Hospital, where he stayed a week in intensive care. To keep the momentum of his recovery going, the Taylors wanted to find Jeff a top-notch place for inpatient rehabilitation. They preferred something closer to home so that Shelly and the Taylor’s dog Chico could provide continuous love and support. They chose HealthSource Saginaw. When asked why, they admit there are now several choices in this area for inpatient rehabilitation. They chose HealthSource because of our excellent reputation for treating stroke patients and for our beautiful facility, which is so close and convenient to their home. “The whole place is just fantastic,” he says. Jeff stayed one month in the Beaches neighborhood for acute inpatient rehabilitation, receiving physical therapy, occupational therapy, and speech & language pathology. He progressed to outpatient therapy three times a week, and continues working out now in the HealthSource therapy gym several times a week. 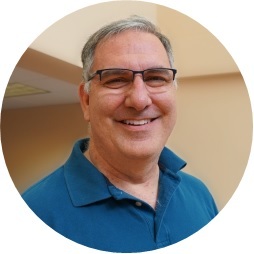 “They unloaded me from the car when I arrived at HealthSource from Henry Ford and, after just a brief trip to my room, started therapy right away,” Jeff remembers. He appreciated how kind everyone was to him. 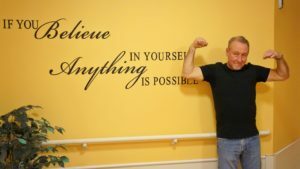 He was encouraged by everyone’s motivating approach – something he saw at the beginning of his stay, throughout his treatment, and to this day when he comes to the therapy gym. 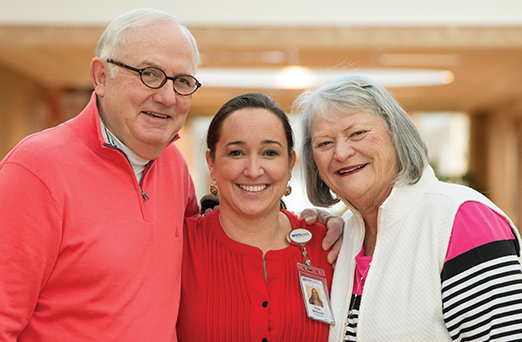 Jeff commends the expertise of his whole team, including aides, nurses, and therapists. “They are all Number One on my list,” he notes. Hearing her husband, Norman, singing in the shower is a source of pride for Mary Ann Stange. Three years ago, her husband of 41 years suffered a stroke. The two were attending a play in Bay City when suddenly Norm couldn’t speak – not a single word. Luckily, he was treated quickly with a clot-busting medication (Alteplase IV r-tPA ) and was only hospitalized for a short time. Norm’s stroke left him unable to read, write, or speak. The couple was devastated. 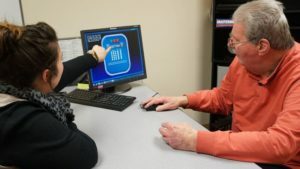 However, Norm was committed to gain his communication back and worked intensely in outpatient therapy at HealthSource Saginaw with speech-language pathologist Katie McDonald. Norm regained function and was nearly back to normal in six months. Many people think speech-language pathology is therapy to improve talking. In fact, HealthSource speech-language pathologists (SLPs) help patients overcome numerous communication, cognitive, and swallowing deficits. Therapy often focuses on treating the patient as a whole and addressing language understanding and expression (written and verbal), breath support and voicing, attention processing, spatial awareness, judgement, and memory as well as motor speech production and swallowing. Norm’s challenges included aphasia – which affected his ability to listen, read, and think of or use words – as well as apraxia of speech, an impairment of muscle use affecting voluntary control, initiation, and coordination of movement. During his outpatient sessions with Katie, Norm performed motor speech exercises aimed at training correct placement of his tongue in the mouth, to improve sound productions and coordination of speech. He also followed a series of commands of increasing length designed to retrain his brain. “Singing in the shower was part of his homework”, says Mary Ann, who, along with Katie encouraged Norm to speak in full sentences rather than just one word responses. Norm used a frozen spoon to massage the muscles around his mouth left slightly droopy after the stroke. A great support network of friends, who meet several times a week at Big Apple Bagel, also helped Norm practice his constantly improving communication skills. Even his grandchildren got in on the action, bringing grandpa their kindergarten and first-grade books so he could work on reading, concentration, and memory. 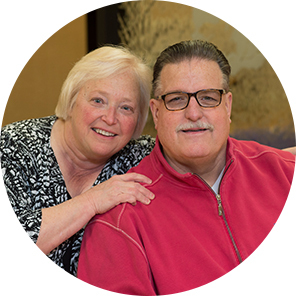 Mary Ann calls Norm’s recovery “remarkable,” thanks to HealthSource. “To look at or listen to Norm now, you would never know he had a stroke,” she explains with a genuine sense of awe and gratitude. For Connie Taschner of Saginaw, life as she knew it changed completely on March 27, 2014, when she sustained a traumatic brain injury in a car accident. 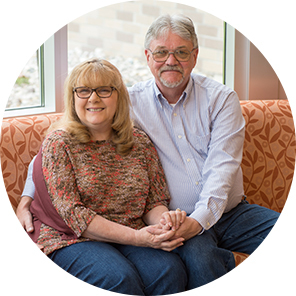 Her doctors in Ann Arbor didn’t expect her to survive, let alone recover to the point of walking, talking, and leading a full life with her husband, Ron. Before Connie arrived at HealthSource and for the first several months after her accident, she endured a series of complications not uncommon with the severity of her injuries. She was not responding to therapy and her muscles were contracting severely. “The mental health experts at HealthSource Saginaw are my heroes,” says a recent Behavioral Medicine Center patient. “The hope you all have given me is priceless. I’ll take it with me everywhere I go. The impact you’ve made in such a short time should not go unnoticed, and I wish I had more to give than a thank you! I’ll never forget this experience or the people. ‘To my psychiatrist, thank you for educating me in such a delicate way and managing to make me NOT feel crazy. You’ve equipped me with the tools to keep this process going after I leave. ‘To my mental health techs, you put a smile on my face just by walking in. You brighten ANY room. Thank you for making me feel so comfortable in a foreign place. Michael Gallagher of Saginaw is remarkably upbeat about — what he calls — his two “speed bumps” and the “souvenirs” they’ve left behind in his life. The first was a life-threatening stroke in 2009 that left him partially paralyzed on his left side. The second was a broken hip just a few years later — the result of tripping on stairs in his garage. Both brought him to HealthSource Saginaw for acute inpatient rehabilitation, where Michael discovered top-notch, creative, compassionate care. Both introduced him to people he would not otherwise have met — professionals he cherishes as people and experts he credits with producing his outstanding recovery outcomes. But he DID make it. 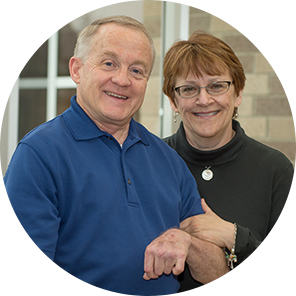 After two weeks in a neuro intensive care unit, Michael was discharged with a recommendation for one of two reputable inpatient rehabilitation facilities — one on the other side of the state, the other right in his own backyard…HealthSource Saginaw. Michael’s family chose HealthSource because it came so highly recommended and was so much closer for family and friends to visit. At HealthSource, he worked with speech-language pathologists for speaking and cognitive issues. He worked with physical therapists who got him up and walking. Occupational therapists helped him relearn the activities of daily living with one hand. “Life happened” again a few years later when Michael tripped on the stairs in his garage and broke his hip. This time, he knew so well the caliber of the staff and facilities at HealthSource and went directly there for inpatient rehabilitation. Sarah B, CTRS, works with children and adolescents every day at HealthSource Saginaw’s White Pine Mental Health Center. Her patients are in crisis — the kind that can’t be measured or quantified with a medical test. They are often completely closed off. Sarah’s job is to motivate them somehow to learn and practice skills for coping with emotional issues so they can function more fully when they leave inpatient treatment. 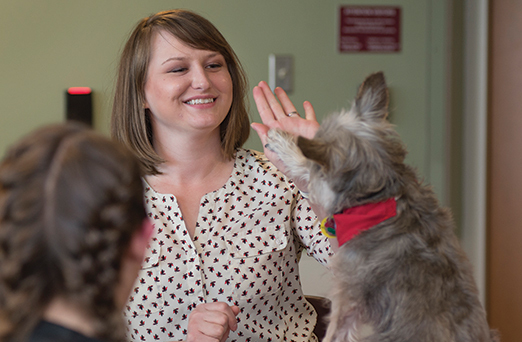 Art projects, therapy dogs, exercise classes, games, and journaling are just a few of the activities HealthSource recreational therapists employ with their patients to build self-esteem and help kids cope, find emotional outlets and expression, and communicate more effectively. 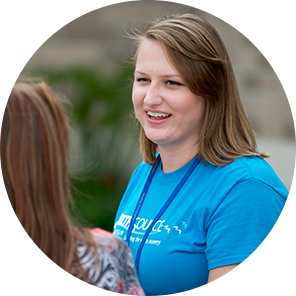 “Everything we do sets them up so they can be successful when they leave us,” Sarah explains. 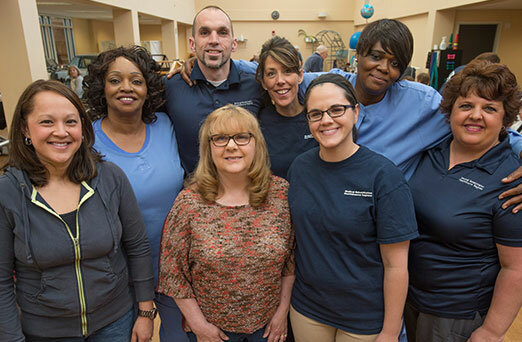 Recreational therapists at HealthSource are part of a multidisciplinary team of professionals caring for psychiatric patients that includes doctors, nurses, mental health techs, and case managers. “All of us are doing patient assessments within our particular area of expertise to help create a plan of care that brings each person the best possible treatment and outcome,” Sarah says. 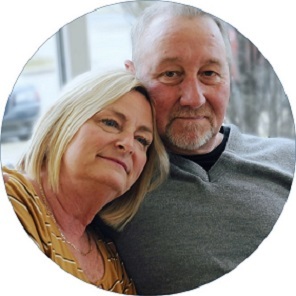 For Robert and Jill Loftus of Frankenmuth, the drive to HealthSource Saginaw in Saginaw Township for outpatient therapy is well worth the gas and wear and tear on their vehicle. Robert had a very successful stay here in acute inpatient rehabilitation after his second stroke. Outpatient therapy has helped him gain back even more use of his right side. Robert and Jill met years ago at SVSU, where he was playing football on an athletic scholarship and she was attending nursing school. Having been athletic all his life, Bob was concerned last December when his right hand felt like it was falling asleep. His right foot didn’t feel right on the gas pedal of his car either. Knowing now he should have called 9-1-1 immediately, he instead drove himself to the hospital emergency department where he had to be helped out of the car. A quick CT scan revealed that Robert had suffered a stroke. He was treated immediately with clot busting drugs that relieved his symptoms right away. But just a few days after Jill returned home, Robert woke up in the night with that same sensation in his hand signaling another stroke. The clot busting drug didn’t produce the same results this time, leaving Robert with some significant weakness in his right side. Diagnostics also revealed a heart defect that had gone undetected up until then. 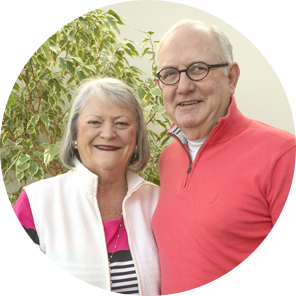 Prior to going home, Robert and Jill stayed in the “Home Room,” an apartment-style room in the Beach Neighborhood that allows patients and family members to “practice” the activities of daily living before actually going home. What Joni found at HealthSource were outstanding facilities and therapists. The big things? She was standing within two days of arriving and walking (and running a little) with a brace by the time she was discharged. With outpatient therapy, she made even more progress and only has minor foot and ankle issues. “It was unbelievable. Everything else came back,” she says.